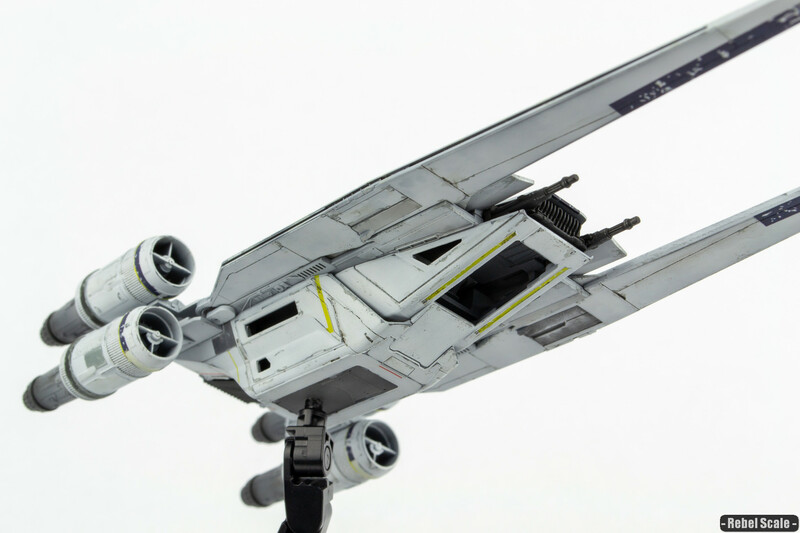 Just finished the 2 other vehicles from Bandai's Rogue One set: the U-wing and TIE Striker, both in 1/144 scale. I think the U-wing came out great. I painted a lot of the panels differently and used a great decal set for the dark blue markings. Then I weathered the heck out of it. I probably could have gone further, but I was ready to be done. It's been a long time since I really got a joy out of painting, weathering, and finishing a model. 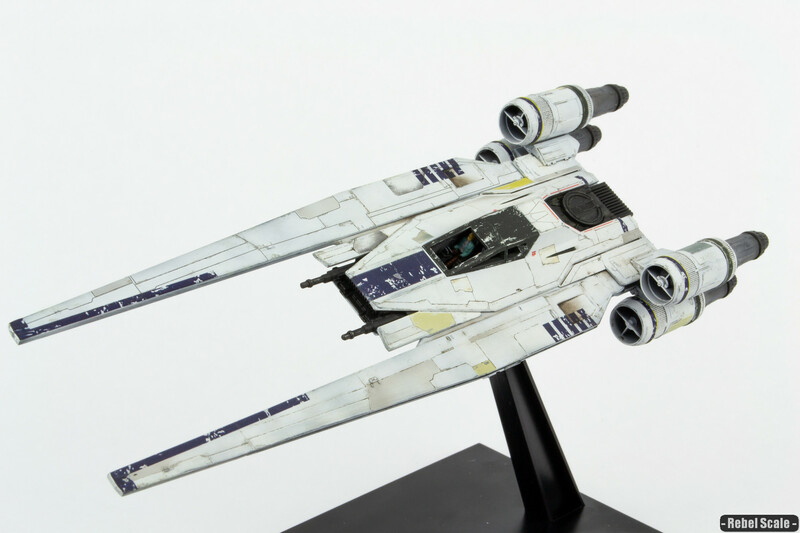 So, I've recently been jumping back in with the Bandai Rogue One set, the one with the U-wing, TIE Striker, and Imperial Combat Assault Tanks in 1/144 scale. Currently, I've actually finished the TIE Striker. 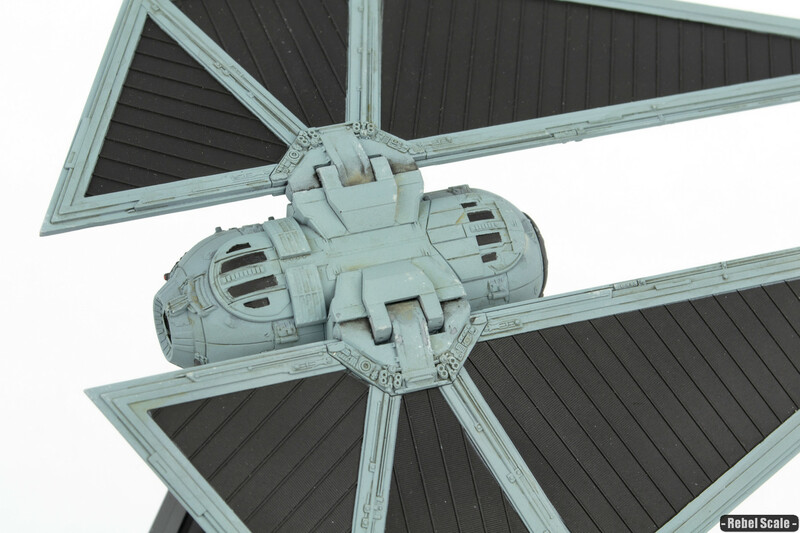 Many thanks go out to Dannon Marsh, who makes some excellent masks for the TIE Striker. For the U-wing, I'm using Nicholas Sagan's multi-pack of U-wing decals. They need to be cut as close to the marking as possible, but they go on excellently with Mr. Mark Setter and Softer. The Combat Assault Tanks (unpictured) are in the early paint stages. Now, there's something else I'm working on, which I hope to finish this week. I don't want to spoil it. 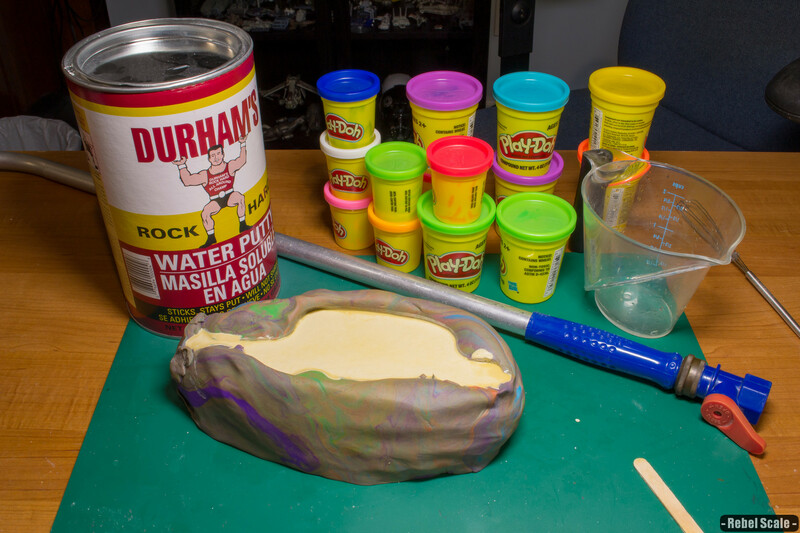 However, it uses Play-Doh, Durham's Water Putty, and a watering hose attachment. Can you guess what it might be? I’ve added a Miscellaneous section to the Scale Lists. This section is for anyone who wants to send me dimensions of Star Wars vehicles I don’t own. I’ve also added a Thoughts section. This is my outlet for writing about just about anything. You are welcome to browse, but take everything with a grain of salt. 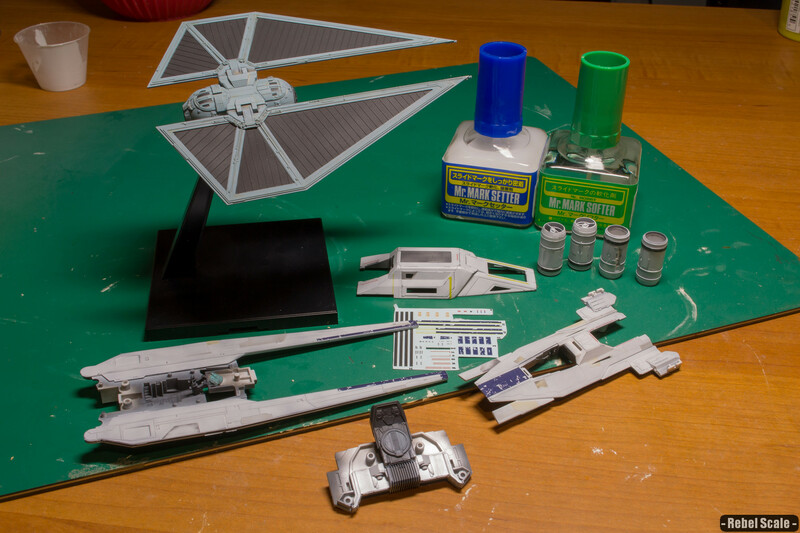 Also, I’ve added some initial pics of the Revell U-wing. 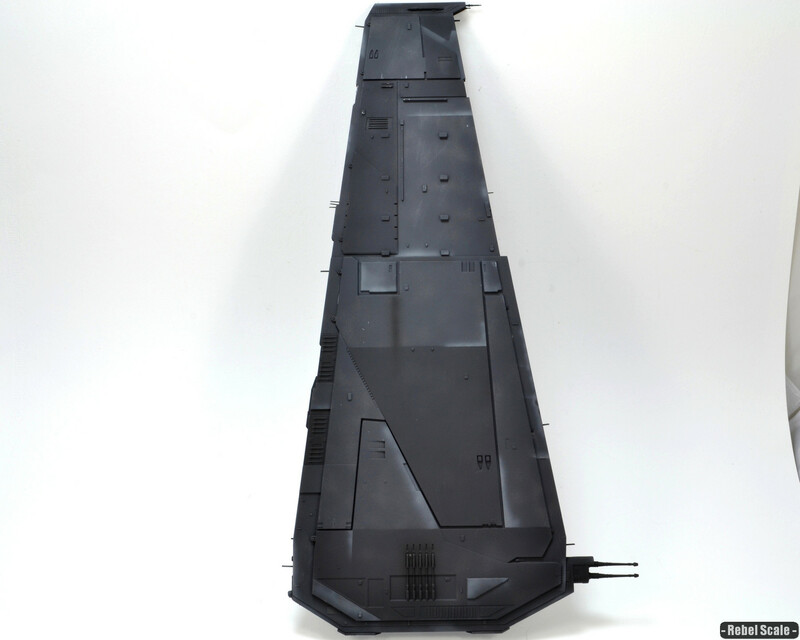 And I am getting closer to finishing the painting on Kylo Ren’s Shuttle.